ETFs remained largely flat in July with an equally weighted portfolio of the 64 ETFs that we cover marginally losing 0.43%. However, the one-year performance to end-July remained positive, up 4.5%. Local-asset ETFs gained marginally, rising 0.64%, in tandem with mixed economic data, while the international ones were negative, losing 2.23%, as the rand recovered some of its June losses. The rand was buttressed by China’s plans to invest about $15bn in SA while Eskom secured a R33bn loan from the China Development Bank. Overall, the star performers were the Satrix Fini 15 (up 6.5%) and Coreshares S&P SA Dividend Aristocrats (up 5.9%). Noticeable weaknesses emanated from the property sector with the Coreshares Proptrax Ten and Satrix Property both declining by 1.8%. The top 40 index – the universe for most of local equity ETFs – retreated 0.33%. However, the Satrix Quality, Satrix Rafi and Coreshares Top 40 Equally Weighted funds showed relatively better metrics among the broad-based funds, edging up 3.3%, 2.1% and 2.4% respectively. Except for the Sygnia/Itrix FTSE 100 which rose 3.7%, all international ETFs listed on the JSE ended July in the red. Global bond funds were the worst performers. Ashburton World Govt Bond and FirstRand US Dollar Custodian Certificate funds lost 5% and 5.3% respectively. The Coreshares S&P Global Property fund shed 4%. The US economy is firmly in growth territory despite escalating trade wars with its major trading partners. This has put markets on the edge, but it would seem the opening of the US corporate reporting season had more to do with how the global markets ended in July. Facebook and Netflix were notable disappointments, announcing underwhelming results towards the end of July. In contrast Apple, which reported in the first week of August, breathed life into the markets. Developed: Our anchor portfolio in the international ETF category is the newer Satrix MSCI World ETF (down 1.84% in July). It displaced the Ashburton Global 1200 (down 1.55% in July) in our last monthly review due to a better expense ratio of 0.35%. The Satrix MSCI fund has exposure in the developed markets of the US, Europe, Japan, Canada and Australia. Emerging: The choice in this segment is limited to two funds: Satrix MSCI Emerging Markets (down 1.82% in July) and the Cloud Atlas AMI Big50 (down 5.84% in July). 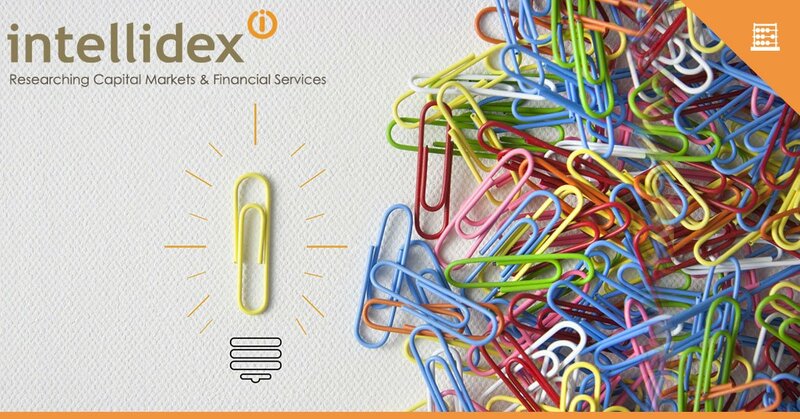 Our choice for Satrix MSCI Emerging Markets is motivated by its diversification. The fund provides exposure to high-growth economies such as China and India, which are not included in any of the developed market funds, thus offering further diversification. The Satrix MSCI Emerging Markets ETF with a TER of 0.4% tracks the MSCI Emerging Markets Investable Markets index, which captures companies across 23 countries. The Cloud Atlas AMI Big50 fund has a higher TER of 0.75%. Local equities have various themes including: broad-based, sector, and smart beta. However, our goal is to build a well-diversified and broad-based portfolio. The other themes can be introduced in a core-satellite portfolio. 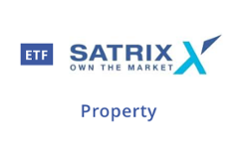 Satrix SA Quality remains our top choice and it was the best performer among broad-based ETFs in July, growing 3.33%. However, investors should be aware that equities are long-term investments because they exhibit higher volatility than cash and bonds. Short term pick (less than a year): NewFunds TRACI 3 Month - it a natural choice because it is least sensitive to sudden adverse interest rate movements. It is similar to earning interest on your cash at the bank with a minimal possibility of capital loss. Long-term pick: Satrix ILBI ETF - for a longer investment horizon, protecting your investment against inflation is paramount. In addition to the local bond ETFs, investors now have an option to choose from foreign bond ETFs on the JSE: Stanlib Global Bond ETF, Ashburton World Government Bond ETF and the FirstRand Dollar Custodian Certificate ETF. Of the three we are undecided between the Stanlib Global Bond ETF and Ashburton World Government Bond ETF. Both are feeder funds that track the performance of fixed-rate, local currency, investment-grade sovereign bonds. These are mostly issued by the US, UK Japan, and selected European countries. Their TERs differ by just 0.05 percentage points with the Stanlib Global Bond ETF being the cheapest. If you rely on your investment income for day-to-day expenses you may want to allocate a portion of your portfolio to ETFs that have a high distribution ratio. Naturally, Satrix Dividend Plus and CoreShares S&P South Africa Dividend Aristocrats come to mind here, but similarly, property funds are high dividend payers. We maintain our choice of the capped fund Satrix Property ETF (down 1.76% in July), with the lowest expected TER in the segment. However, investors with a stomach for exchange rate volatility can consider foreign property ETFs. The Sygnia Itrix Global Property ETF (down 3.9% in July), with a TER of 0.25%, is by far the cheapest of the three. Mapps Growth and Mapps Protected grew 0.46% and 0.28% respectively during July. We've only revealed the tip of this insightful iceberg. You will want to read up more on Intellidex's insights on international-themed ETFs, including a tid-bit about Apple, as well as more in-depth market summaries, investment strategies, graphs, and August 2018 picks here.